To get the look, work this argan-oil infused surf paste into damp hair and slick back into a textured ponytail or tight chignon. Muss with your fingers, and vow to never wrestle with your blowdryer in 100-degree heat again. 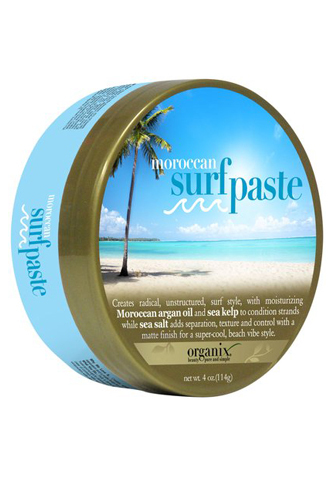 Organix Moroccan Surf Paste, $7.89, available at Soap.com.